Rawai is the southern tip of Phuket and is normally drier and sunnier than the northern part of the island. Phuket has many micro-climates so it could be raining in Rawai and sunny in Chalong. 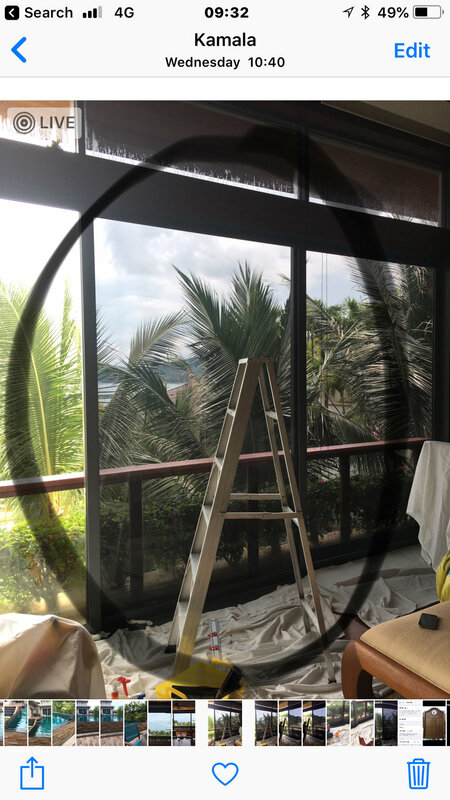 The next pages are selected properties in Rawai and how we solved the problem of too much sun, not enough privacy and always saving money! 2. A 50% REFLECTIVE FILM ON ALL THE OTHER WINDOWS WHERE THERE WAS NO DIRECT SUN ASPECT. 3. A NANO CERMAIC FILM WITH A VLT OF 79% (VERY CLEAR) FOR THE LIVING ROOM WHERE LIGHT IN THE ROOM WAS ALREADY AN ISSUE. 1. RESOLVES THE HEAT AND UV ISSUES. Thalang is in the central part of Phuket and the weather here is definitely wetter with more rain. The are many communities as well as villas and we adapt the film to solve the problem. 2. 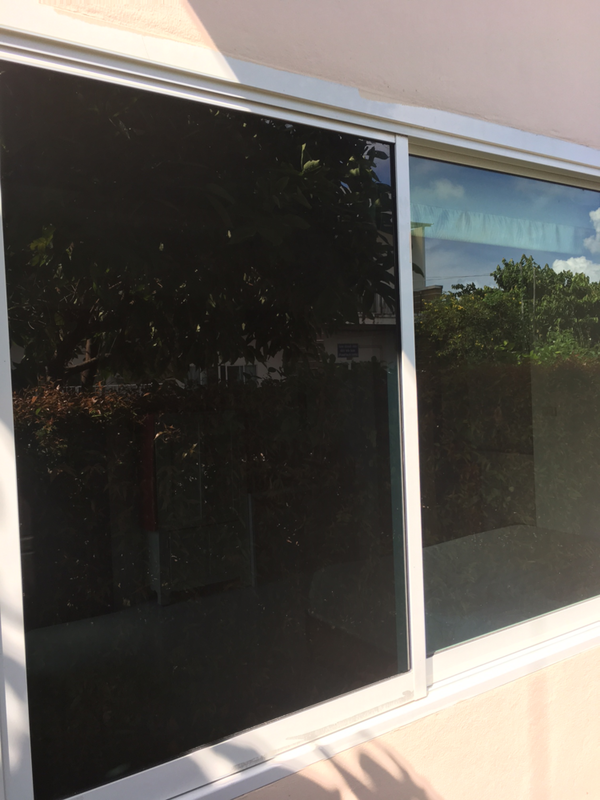 A 50% REFLECTIVE FILM ON THE LIVING AND DINING ROOMS - NO DIRECT SUN ASPECT. 1. RESOLVES THE HEAT AND PRIVACY ISSUES FOR THE BEDROOMS. Laguna is a very large area and has many developments. The “Laguna” properties and all of the other gated communities around the Laguna area. It is the most popular area for Expats to buy villas and condos. 1. 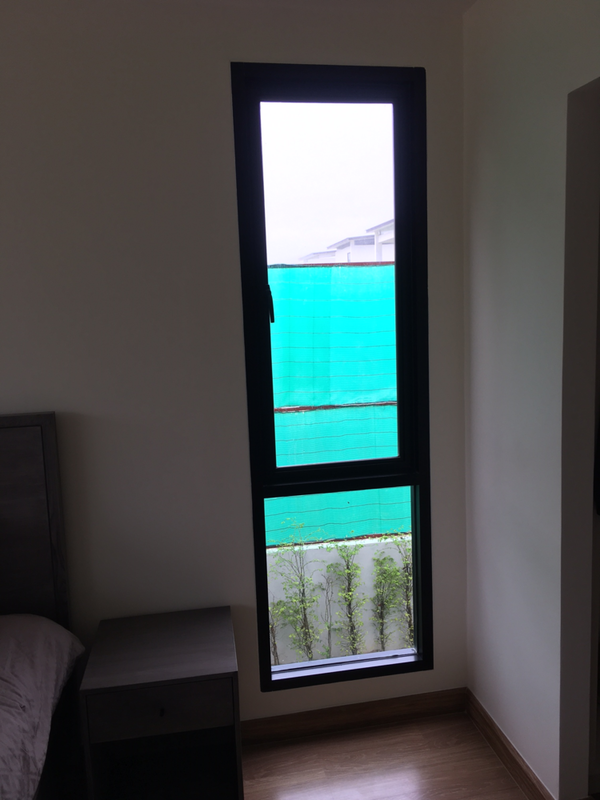 PRIVACY IN THE MORNING AS THE BEDROOM WINDOWS FACE THE GOLF COURSE AND FACED EAST..
2.THE CURTAINS HAD TO BE CLOSED IN THE MORNING WHILST GETTING DRESSED. OBVIOUSLY THE ENJOYMENT OF LIVING ON PHUKETS FINEST GOLF COURSE IS LOST. 2. RESOLVES THE HEAT AND PRIVACY ISSUES FOR THE BEDROOMS. Kamala is another pocket of Expats and is a small community that has a village like atmosphere and some very special properties. One of my favourite areas as it combines great dining, stunning views and amazing ocean front as well as gated communities. 1. THE LIVING ROOM WAS HOT FROM THE EVENING SUN, IN FACT SO HOT THE AIR CONDITIONING WAS REQUIRED ALL OF THE TIME. 2. THE AIR CONDITIONING UNITS WERE STRUGGLING AND USING EXCESSIVE ENERGY TO COOL THE HOUSE AT AN ACCEPTABLE TEMPERATURE3. 3. THE GLARE FROM THE SUN WAS INTENSE. 4. THE FILM HAD TO BE CRYSTAL CLEAR TO PREVENT LOSING SUCH A MAGNIFICENT VIEW. 1. OUR CRYSTAL FILM ENSURING THE HIGHEST LEVEL OF CLARITY ALONG WITH SUPERIOR HEAT REJECTION AND UV PROTECTION. 2. THE DIFFERENCE IN TEMPERATURE FROM INSIDE TO OUTSIDE WAS 59'C OUTSIDE AND 36'C INSIDE. NO AIR CONDITIONING WAS RUNNING DURING THE TEST. 3. A BEAUTIFUL VIEW IS STILL UNSPOLIED.